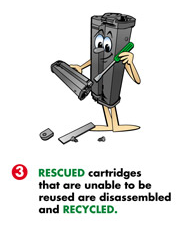 Our Service is simple – The Hassle Free Empty Cartridge Collection Service! 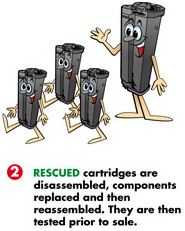 We rescue your empty cartridges for REUSE! For more in depth information about the collection process click the "More Info.." button. Use our online booking form to organise your cartridge collection now. 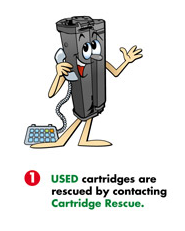 From December 2008 Cartridge Rescue no longer pay a rebate for the return of empty cartridges however the pickup is still free! 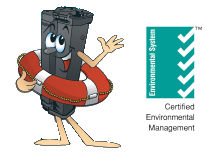 For Local EXPERT advice call us!